Thirty three centuries and six decades ago, there was a girl named in the ancient Egypt region as Ankhesepaaten. She was third of the six daughters of the Egyptian Pharaoh Akhenaten and his Royal wife Nefertiti. After years, she then became a royal wife of her half-brother which was a king afterwards named Tutankhamun and hence, she was then known with the name Ankhesenamun. As her name changed, so did the Ancient Egypt as it started to face many changes during her lifetime especially after her father’s demise. Before Ankhesenamun was a queen, she was known with the name Ankhesepaaten. The era in which she came in existence, it was the time when Egypt was during an unprecedented revolution regarding religion (1348 BC). Ankhesepaten’s father at that time abandoned the old deities of Egypt in the favor of Aten, who is categorized as the sun’s disc. Ankheseaaten grew up in her father’s capital city Amarna. Her two sisters and the first eldest three Akhenaten’s daughters later became the “Senior Princesses” and therefore, participated in many government related events and religious events. Ankhesenamun’s spouse Tutankhamun, Ankhesenamun’s half brother and later, king of the ancient Egypt, ruled the 18th dynasty from (1322-1323 bc). Tutankhamun also before being a king, was known with a different name as a prince as Tutankhaten which means (Living image of Aten) while Tutankhamun means (living age of Amun). He was assigned the throne in 1333 BC and the throne was named Nebkheperure. He was married after he became a king, and both had two daughters in which, according to the studies performed in 2011, were premature. After the death of his father Akhenaten, he made several changes in Ancient Egypt. He ended the worship of Aten and changed it to Amun. He at his time worked on a lot of building projects mostly about templates for worshiping. It is also possible that she was married to her father Akhenaten after the death of her mother Nefertiti. It is also possible she was married to her father’s immediate successor pharaoh Smenkhkare. Ankhesenamun and her husband ruled Egypt as a couple for 10 years. 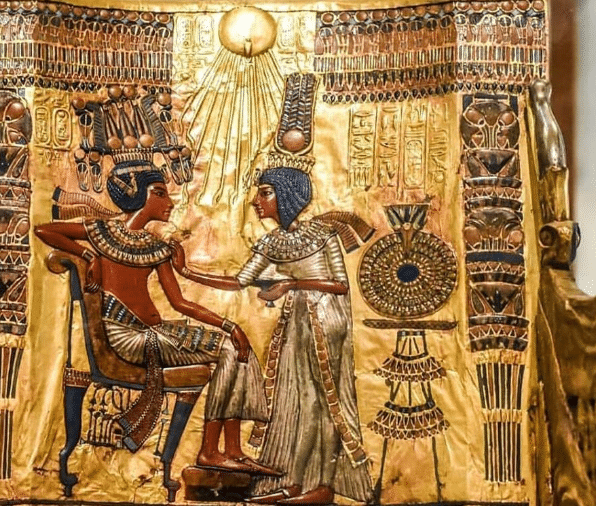 At the age of 18 or 19, her husband Tutankhamun died leaving Ankhesenamun alone without an heir. It is a theory according to the researchers conducted with respect to DNA’s that her husband’s advisor Ay, broke the leg of the King Tutankhamun and later, it became infected with malaria therefore he died. Ankhesenamun: Why did she betray? When Tutankhamun died, there were many unpleasant surprises waiting for Ankhesenamun as many older ambitious men wanted her. She was forced to marry Tutankhamun’s advisor Pharaoh Ay and was afraid to do so. The Queen wanted to continue bloodline of Amarana and wrote a letter to Suppiluliumas I, King of Hittities. She explained her situation of having no sons and wanted to continue her bloodline. When Suppilulilumas I came to know she is saying the truth, he sent Zannanza, a Hittitie prince to Egypt for her but sadly he was murdered at the border by one of Ay’s people. Her tomb is still not known. 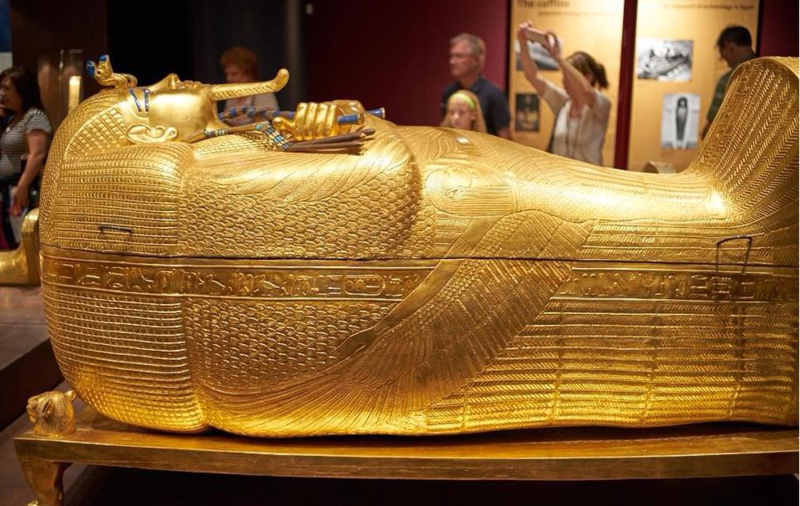 It is also said that both of her daughters from king Tut were premature, and both died.